Well, it looks at least much better than before. Toyota has drawn a lot of flak for the styling of the pre-facelift Etios twins. Frankly, they looked a bit dull ever since they were launched and now, with the advent of newer competition, they were suddenly looking a bit too old. 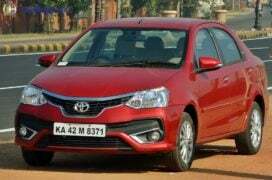 The Etios’ first major makeover since its launch has made things so much better. The majority of the visual upgrades are confined to the nose of the car. There is a new bumper with sporty black inserts that get a carbon fibre finish. The grille is also new and gets a healthy dose of chrome. A large air dam and some chrome accents around the fog lamp area round off the changes made to the front end. Move on to the rear and you’ll be hard pressed to find any significant updates here. Much of it remains identical to the pre-facelift model, except for the new bumper and some chrome appliqué for the boot lid. There is only one reverse lamp on offer – it has been included in the right-hand-side taillamp cluster, while the LSH unit misses out on the reverse lamp. 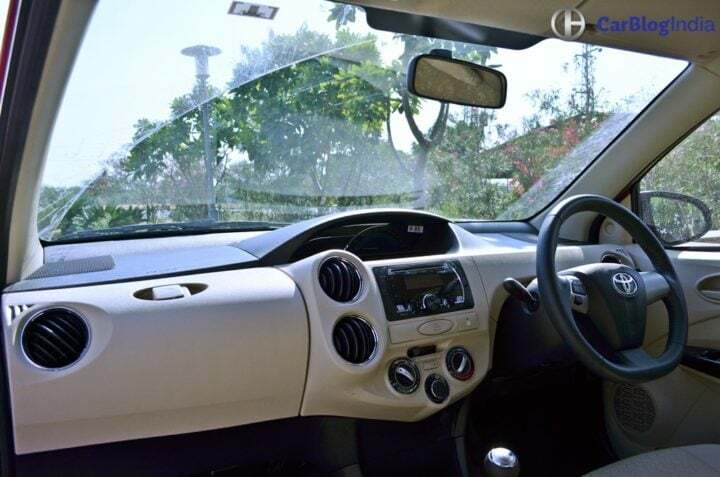 While the cost-cutting is still evident, overall, the Platinum Etios looks much more modern. The updates have certainly enhanced its appeal. 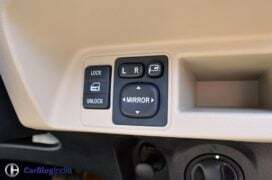 Other updates to the cabin include a new instrument cluster that looks much better and more upmarket than before. While the audio system does its job just fine, it looks like an aftermarket unit. 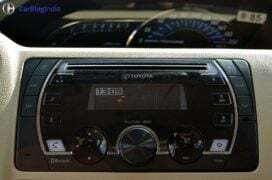 Toyota could’ve done a better job of sourcing an integrated unit or, better still, a touchscreen. The overall quality of the cabin is satisfactory, but there are some bits that could have been better built. Then, again, for a sedan of this size and price, such minor shortcomings aren’t big put-offs. One simply can’t ignore the spacious and comfortable cabin this car offers. Lest we forget, the massive 592 L boot easily swallowed all our luggage for a weekend getaway. 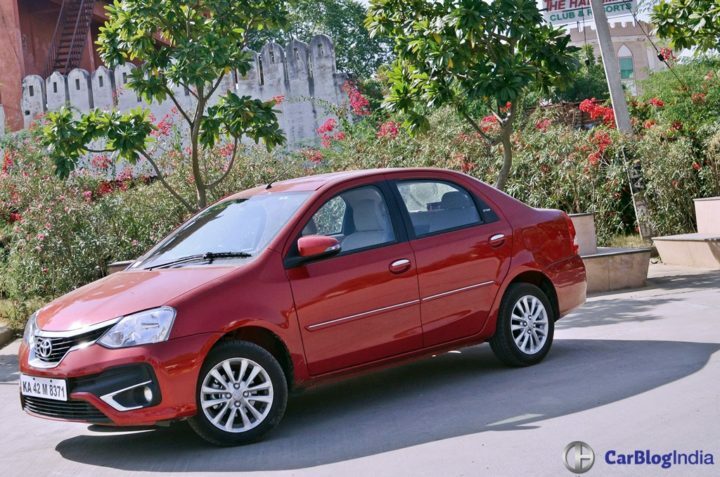 The Platinum Etios continues with the same set of engines. The one we drove came with a 1.5 L petrol motor. It makes 88 BHP @ 5600 rpm and 132 Nm @ 3000 rpm. 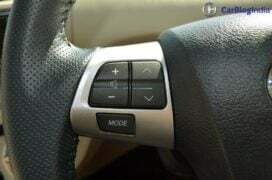 There is only a 5-speed manual transmission on offer. On paper, these figures might not seem very encouraging, but out on the road, the Etios doesn’t feels pretty sprightly. A lot of it is down to clever gearing and a low kerb weight of just 945 KGs. The car pulls away cleanly when you put your foot down. The linear power delivery helps enhance drivability of the 1.5 L unit. For most part, the gearbox does its job rather well. However, there were a couple of instances when it didn’t slot into reverse gear smoothly. 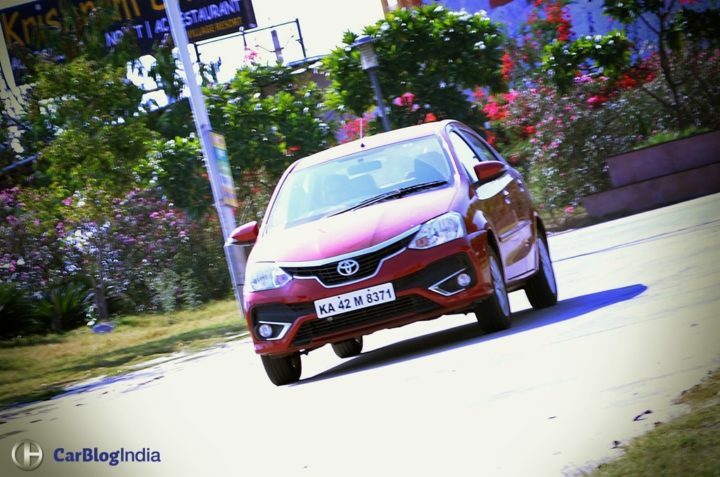 We did a fair bit of highway running, with the Etios cruising along effortlessly at speeds of around 120-130 KMPH. 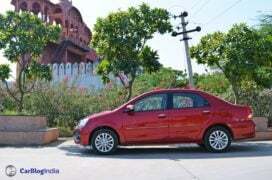 Overall, the Etios managed to return around 13 KMPL, which isn’t really bad for a 1.5 L petrol unit. 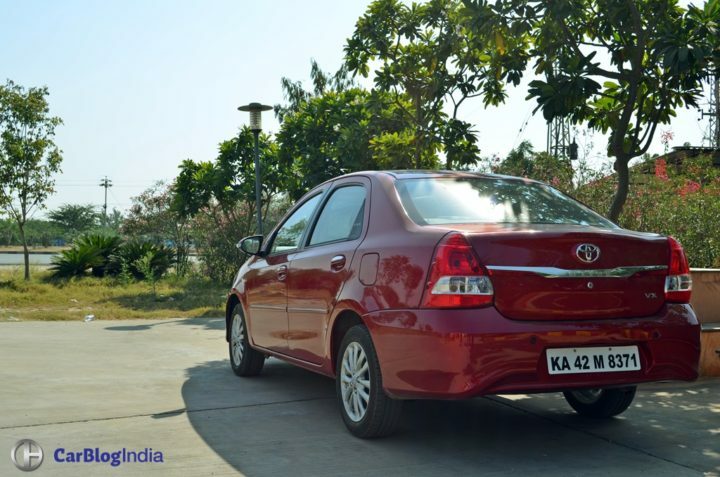 The Toyota Platinum Etios won’t impress enthusiast, and frankly, it never intended to. It is meant to be a comfortable city runabout and a relaxed highway cruiser, a job it does very well. The steering feels nice and chunky to hold. While it looks sporty, it couldn’t be further off in terms of feel. It doesn’t offer much in terms of feedback either. Also, with plenty of turns from lock to lock, it requires more input than usual. The good bit is that it is light and that, combined with a tight turning circle, makes getting in and out of tight spots a cinch. 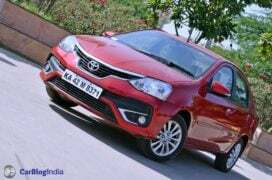 Toyota Etios employs a relatively stiffer suspension setup than most of its rivals. 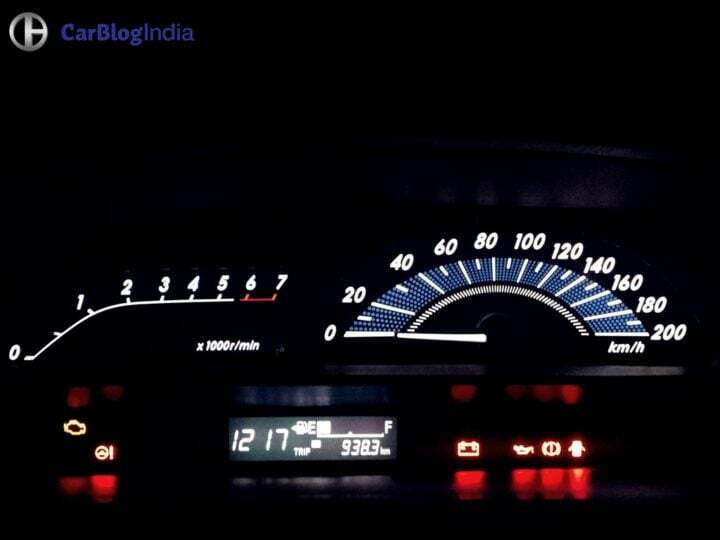 So, while some bumps might cause a bit of discomfort at lower speeds, the car remains stable at triple digit speeds in spite of its low kerb weight. That’s a good trade-off we say. 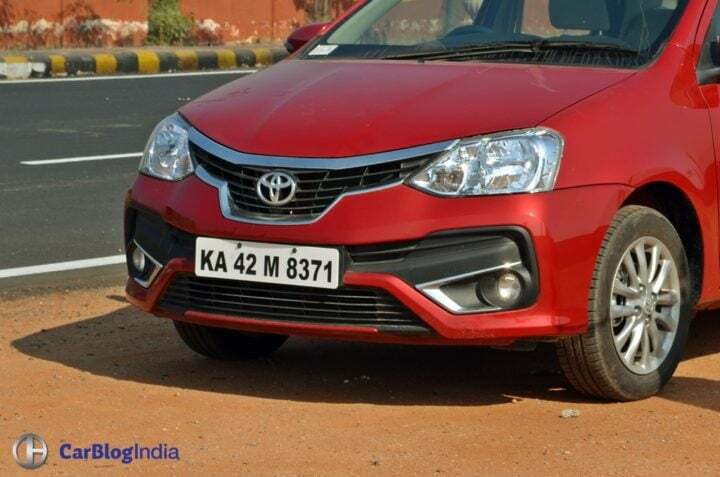 Etios’ brakes offer good bite and the braking effect on pressing the pedal is nice and progressive. 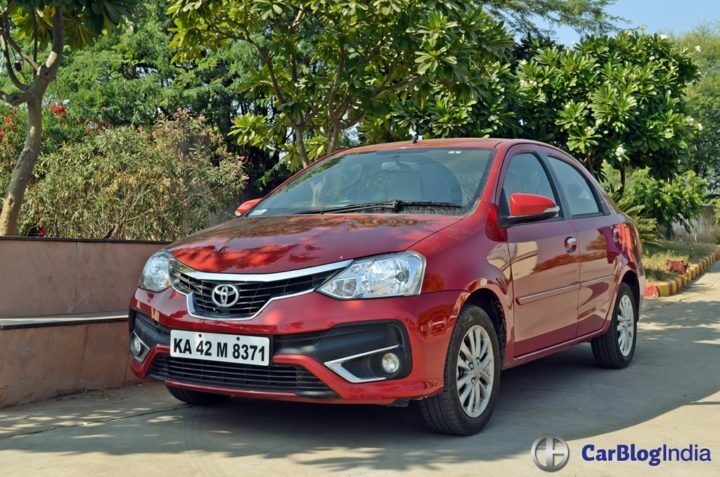 There are a few flaws the Etios possesses that can be hard to overlook. Toyota might have improved its appearance, but it still isn’t quite a head turner. 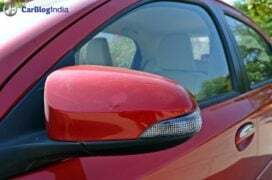 Certain bits like the single windshield wiper, single reverse lamp are a dead giveaway that it is built to a cost. That said, there are plenty of positives as well. There is acres of cabin space along with a cavernous 595 L boot. The execution may not be premium enough, but it comes with all the essential features. The 1.5 L Petrol does its job rather well. 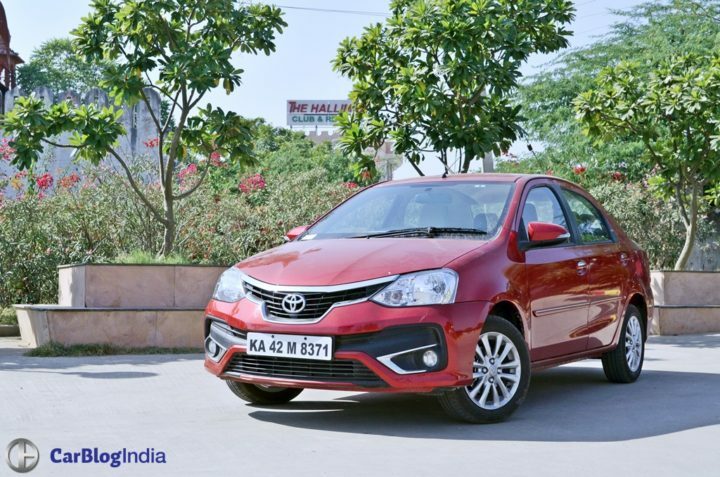 The Etios is a whole lot bigger than compact sedans but doesn’t cost all that much extra. 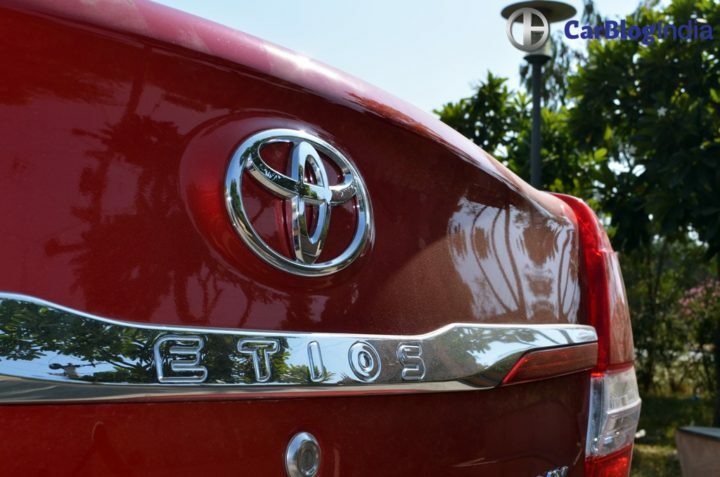 Toyota has ensured the Etios scores high on safety. You get dual front airbags, ABS with EBD and ISOFIX mounts as standard features. At Rs. 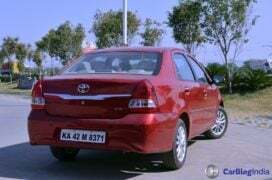 7.85 lakh (ex-showroom Delhi) for the top-end VX trim, the Toyota Platinum Etios is a lot of car for your money. 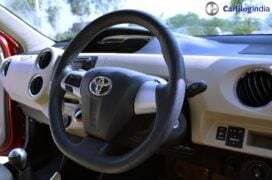 Combine that with Toyota’s famed reliability and after sales service, and you get a package that scores high on practicality and makes a lot of sense as a spacious family sedan. 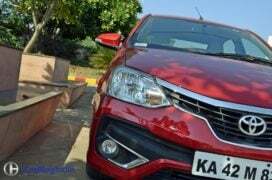 Did you like our Toyota Platinum Etios Test Drive Review? Do let us know via the comments section below. Stay tuned to Car Blog India for all the latest car and bike reviews.